By replacing the ordinary mounting nut with ZāGO’s new seal boot, a switch has full protection against exposure to harsh environmental elements such as water, oil, sand, dust, dirt, humidity, moisture, precipitation, and other contaminants. ZāGO’s new switch seal boots are waterproof, not just water resistant, and are available for all types of electrical controls. Our new switch boots can handle tough applications for use in marine equipment, off-road vehicles, aircrafts, welding equipment, medical equipment, and much more. Failure is not an option when it comes to your electronic control products. 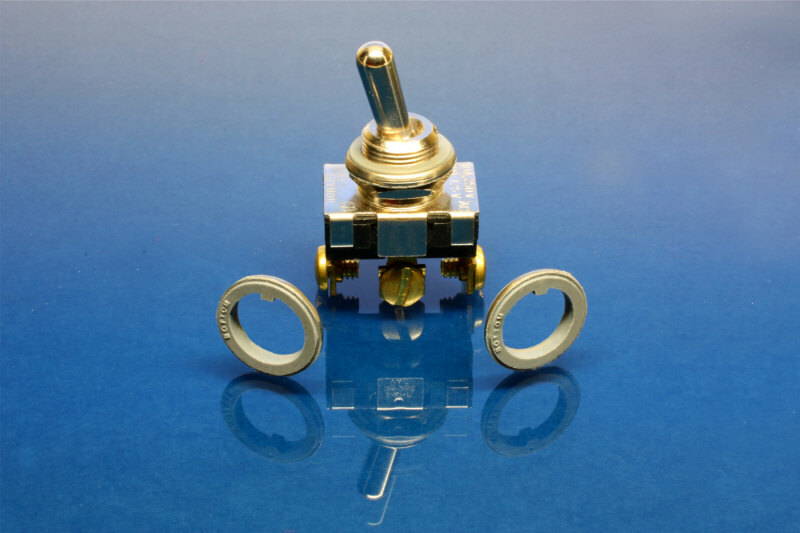 One of the main reasons switches fail is because they are not sealed properly, leaving them vulnerable to corrosive environments. 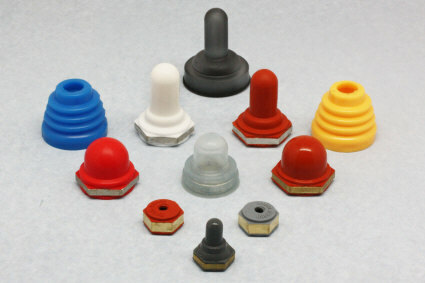 ZāGO Manufacturing Company has remedied this problem with a new line of sealing switch boots for toggle switches, push button switches and rotary switches that will ensure the longevity of the equipment on which they are installed. With more and more product applications requiring protection against the elements, our switch boots can be found on the most innovative products on the market guaranteeing high performance even in the most challenging environments. 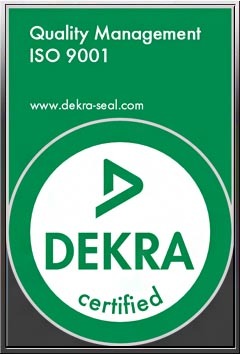 Our new switch boot seals protect against switch failure and eliminate the need for switch replacements. 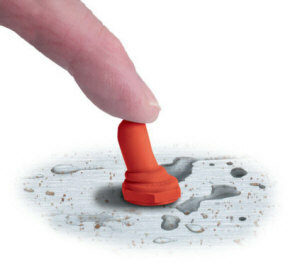 By replacing the ordinary mounting nut with ZāGO’s seal boot, a switch has full protection against exposure to harsh environmental elements such as water, oil, sand, dust, dirt, humidity, moisture, precipitation, and other contaminants. ZāGO’s new switch boots are waterproof, not just water resistant, and are available for all types of electrical controls. Our new switch boots can handle the toughest applications for use in marine equipment, off-road vehicles, aircrafts, welding equipment, medical equipment, and much more. Our switch boots are molded on a brass hex nut with silicone rubber which conforms to military specifications. 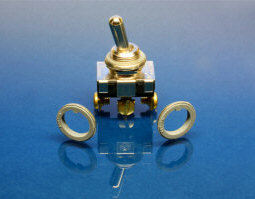 No special handling is required; they install easily and fit over most standard switches. All ZāGO switch boots are crafted from a single-piece design and are DFARS and ROHS compliant. Small and light weight, they will operate in temperature ranges from -93 degrees to 400 degrees Fahrenheit. Originally designed for rugged military applications, our switch boots are durable and versatile to provide a perfect seal for any electronic component that needs protection from harsh environments. Get the protector. And seal out dirt, dust, air and moisture. ZāGO introduces its new line of panel bushing seals. Our seal washers are stainless steel, type 202 or 302, molded both front and back with silicone rubber, to fit toggle switches 0.469” in diameter. 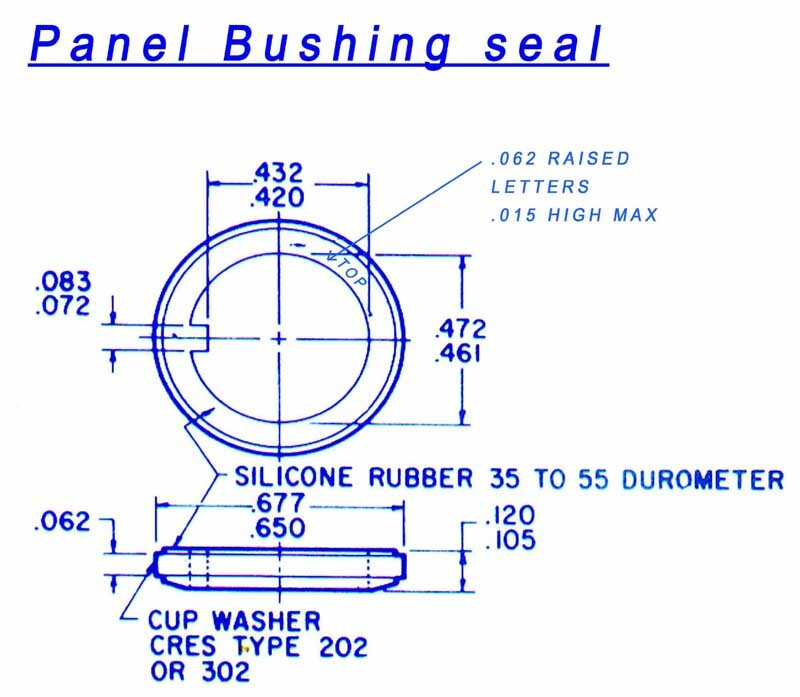 ZāGO’s bushing seals are designed for quick, easy and convenient installation and can be assembled so that the surface marked “top” is up and the surface marked “bottom” is down.  The ZāGO seal washer is economical and provides a permanent seal against liquids, dust and other contaminants. The silicone rubber has a durometer hardness of 35 to 55, and excellent resistance to extreme temperatures. These washers are reusable as long as the silicone rubber elements remain intact. 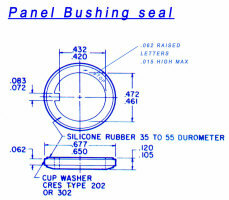 All of our panel bushing seals meet milspec Mil-DTL-5423.